Antibiotic Resistance: Bacteria are winning the battle against antibiotics faster than we can invent them. Antibiotics are a class of drugs meant to kill bacteria. Since their development and widespread use around the time of World War II, antibiotics have been used globally in battling bacterial illnesses. They have been shown to be powerful tools against dangerous and life threatening bacteria. Unfortunately, antibiotics are often overused or used inappropriately leading to the increasingly serious and alarming problem of antibiotic resistance. Bacteria and other microorganisms that cause infections behave like every other living organism on the planet... they evolve through genetic mutation. The problem with bacteria is that they can divide and reproduce themselves very quickly (they can actually double in number every few hours). Every time a bacteria divides there is a chance that a genetic mutation will occur during the process of cell division. Over the course of this population explosion, a few of these bacteria can develop a mutation that renders them immune to a given antibiotic. Thus, with enough cell divisions these bacteria will eventually mutate the genes necessary to resist the antibiotic being used. Once resistance occurs, that antibiotic becomes useless and a new more powerful antibiotic must be tried against this, now more hardy and, resistant strain of bacteria. If this picture isn't frightening enough, the genes responsible for antibiotic resistance can even be transferred between entirely different species of bacteria through a process called "horizontal gene transfer". 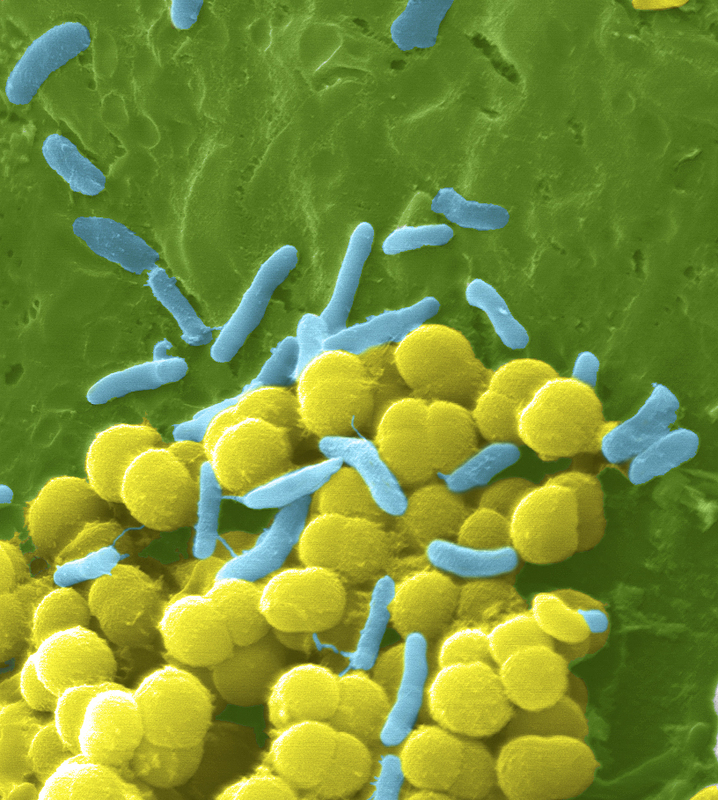 This can lead other bacteria to develop resistance to antibiotics even if they have never been exposed to an antibiotic themselves. 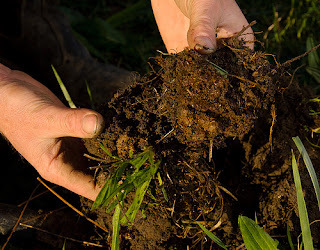 Healthy soil is made up of more than just dirt, water, and minerals. Soil is one of the most diverse and varied ecosystems on the planet. Some soils may contain up to one million species of microbes per gram. In addition, soil is home to many different species of invertebrates, such as earthworms, centipedes, millipedes, snails, slugs, nematodes, and many others. This makes soil easily the most abundant ecosystem on Earth. Through the modern industrial farming practices of poor land use, such as deforestation, overgrazing, and improper construction activity, we have added stress to this diverse environment. Land is literally washing away due to erosion. Thousands of synthetic chemicals are sprayed onto farmland, only to wash out to sea wreaking havoc on marine life. We are literally sucking the life out of the very land that supports us. How did this happen? What is a toxicant? Simply, a toxicant is a chemical compound (usually man made) that has an effect (usually negative) on living organisms. There is a lot of talk (and confusion) in alternative medicine about "toxins", mainly because the term is so misused. The term "toxin" means, specifically, a chemical that has an effect on living organisms, but the difference is that the chemical must be from a biological origin. Strictly speaking, the term "toxins" is a subset of toxicants. So, all toxins are toxicants, but not all toxicants are toxins. The venom of bee stings or snake bites are toxins (and toxicants); insecticides are toxicants (but because they are man-made, they are not toxins). Since the mainstream (non-technical) use of the word is overwhelmingly common, we will, for the purposes of this post, simply refer to toxicants as "toxins" and assume they mean the same thing. In an average day, we are exposed to hundreds of different toxins in our environment. Most of these are invisible to us. Some are airborne, others waterborne, they are often colorless or odorless, and many of these toxins are impossible to avoid. The human body is capable of clearing many toxins and is actually quite good at it. The problem is the quantity and type of toxins that exist today. Humans did not evolve to face the sheer number and type of chemical toxins that have been invented in the last century. As our natural detoxification pathways struggle to keep up with the toxic load, many toxins start to accumulate. 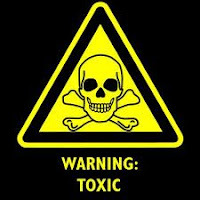 The accumulation of toxins eventually leads to illness as the body cannot rid itself of these toxic substances. 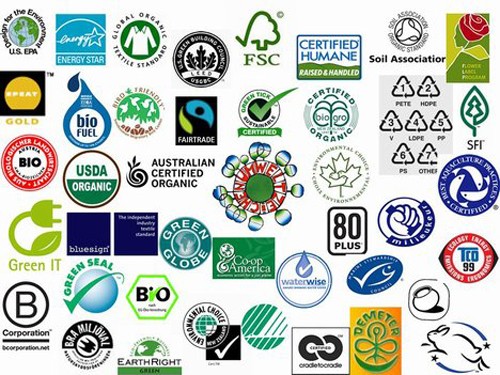 As the demand for greener and more environmentally sound products continues to grow, it’s important to know which claims you can trust and which ones you can’t. Pick up any product around you, and you're likely to come across several logos, labels, or certifications meant to tell you something. Plastic bottles are adorned with (at least) a recycling code to tell you what material they are made from. Electronics can have UL listings, Energy Star logos, RoHS certifications, or a multitude of other badges meant to tell you how safe or environmentally friendly they are. 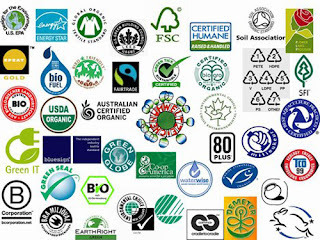 Food can be labeled organic, free range, biodynamic, grass fed, GMO, non-rBST, or any number of other things. It's enough to make any consumer's head spin. What do these labels even mean, and how can we find out? What information do we, as consumers, need to make an informed choice about a product, based on its labeling? The difference between a meaningful label, one that is regulated and specific, versus a marketing term or description, that could mean almost anything, is not an easy thing to determine at first glance. With new labels appearing all the time, it is important to know what to ask and where to get reliable answers. How "meaningful" is the label? What criteria need to be met so that the product can use the label? Is information on the standards and certification process publicly available? Who certifies the product, and is their contact information provided on the product? Who supported the introduction of the label and who had input into the standards put in place, both from industry and the public at large? Were there any conflicts of interest (money, etc)? What, if any, criticism does this label garner from opponents? Are there any loopholes that allow unscrupulous companies to bypass the restrictions? A great resource for finding answers to these questions (and more) is the Eco-Labels searchable database on the Consumer Reports' Greener Choices website. It is important to know what these labels mean, and don't mean. The only way to truly make healthier decisions is to become an informed consumer who spends his money on companies who are committed to making better choices. Researched and written by Dr. Rebecca Malamed, M.D. with assistance from Mr. Malcolm Potter. 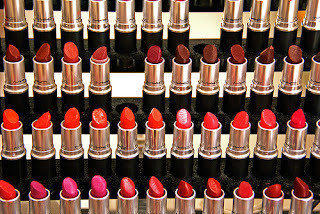 The cosmetics and skin care industries are huge global profit makers. As with any industry, the cheaper the ingredients and the higher the price that consumers are willing to spend on the final product, the greater the profits the company can produce. Unfortunately, when it comes to cosmetics, this often means that ingredients that are known to be toxic are regularly used in countless products because they are the cheapest alternatives available. The Environmental Working Group (EWG) has been looking into this issue for some time and have developed a searchable cosmetics ingredients database called Skin Deep. This database has recently been updated and contains the ingredients of thousands of cosmetics and skin care related products. In addition, Skin Deep provides valuable information regarding the safety and efficacy of these ingredients. EWG's Skin Deep is an online safety guide for cosmetics and personal care products, launched in 2004 to help people find safer products, with fewer ingredients that are hazardous or that haven't been thoroughly tested. Skin Deep combines product ingredient lists with information in more than 50 standard toxicity and regulatory databases. The database provides easy-to-navigate safety ratings for tens of thousands of personal care products. So the next time you consider buying your favorite cosmetics or skin care products you may want to consider consulting this excellent resource to make sure that you are not inadvertently risking your health. Furthermore, by spending your money on products from responsible cosmetics companies, using only the safest ingredients, you will also be encouraging all cosmetics companies to "clean up their act" as they realize that educated consumers are no longer willing to risk their health simply because they want to look beautiful. An article in The Guardian explains that plans are underway to provide a subsidy to EU (European Union) fishermen who collect plastic debris instead of fish. "Fishermen who clear plastic will be subsidised initially by EU member states, but in future the scheme could turn into a self-sustaining profitable enterprise, as fleets cash in on the increasing value of recycled plastics. Cleaning up the rubbish will also improve the prospects for fish, seabirds and other marine species, which frequently choke or suffer internal damage from ingesting small pieces of non-biodegradable packaging." This move has the beneficial effect of both reducing the number of fishing boats that are depleting an already dwindling supply of fish, by having them collect plastic instead of fish, and improving the quality of the ecosystem. Each part of this plan would increase fish numbers, but both together will likely have a greatly increased effect. The hope is that the incentives will motivate fishermen to begin collecting recyclable plastics, but that eventually, it will become a self-sustaining industry of recycling. 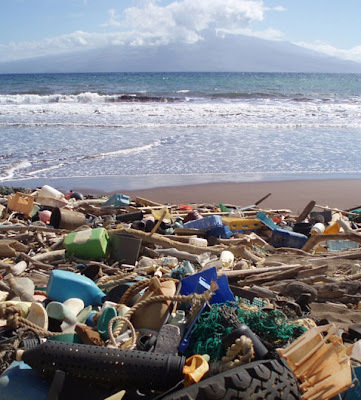 Imagine if something like this could be enacted on a global scale and used to combat the large gyres of floating trash in the world's oceans.